Sales people are not the only ones who have funnels, buyers have them too! I will let the IT Director of a large multi-national explain: ‘Last year we had 300 million worth of projects for consideration across the organisation, but only a budget of 100 million. That meant we were faced with some very hard choices and they were choices between projects and even departments, not choices between suppliers.’ It is a classic funnel scenario, lots of projects and proposals go in at the top, but only a small proportion emerge successfully at the bottom, in terms of sanctioned expenditure, approved budgets and signed purchase orders. Clearly, buyers have funnels too! What are the implications of the buyer funnel? Well, salespeople know to their cost that many projects never get ‘off the ground’ and they know that projects can fall even at the last hurdle. At the core of understanding why decisions get scrapped and stalled, is the issue of the buyer’s own funnel and the rules that govern it. As a seller it can be easy to overlook the fact that the real competition is not another supplier, but another project. This simple reality has fundamental implications however. Principle among them is that the business case is more important than the competitive advantage of one supplier over another. When the salesperson recognizes this sea-change, he, or she makes the transition from selling, to helping the buyer to buy (or more precisely to helping the buyer to get the purchase sanctioned). Don’t waste time on projects that are unlikely to succeed – the best salesperson won’t get a purchase sanctioned if the project does not have backing, as well as a compelling business case. 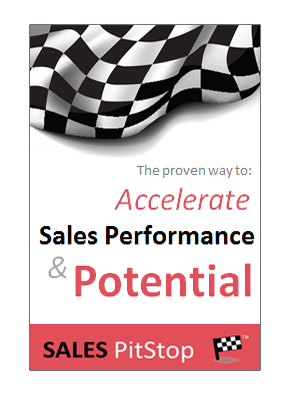 So, sellers imagine your sales funnel, with lots of sales opportunities in it. Then think of each of those opportunities as being within a funnel of its own, that is the buyer funnel. 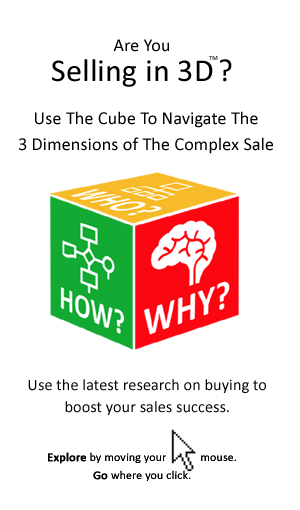 Then when you review your pipeline and all the opportunities in it, you will be adopting a more 3 dimensional view of the buyer tradeoffs and choices likely to impact on your sales success.